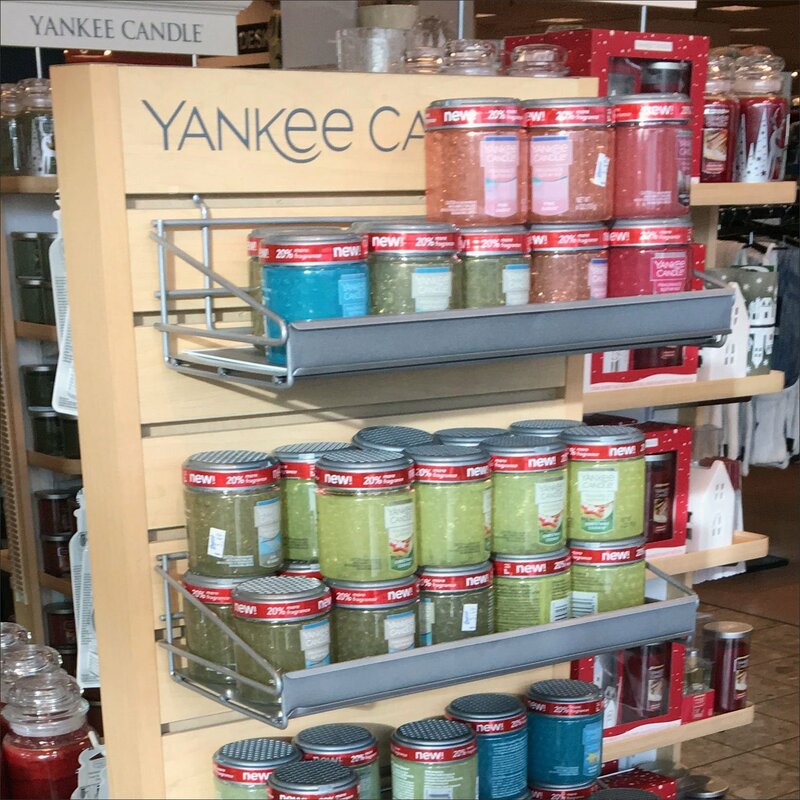 This Yankee Candle Slatwall Shelf Spinner is outfitted top-to-toe with silver powdercoated open wire shelves. Interiors are matching color shelf overlays to provide a stable surface and contain small items when necessary. Silver powdercoared C-Channel fronts the design. Look close to see that the Yankee Candle masthead is also in matching silver. This Yankee Candle Slatwall Shelf Spinner seen at Boscov’s Department Store, Laurel Mall, Hazleton.